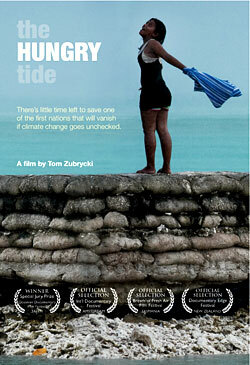 Buy a copy of the film 'the Hungry Tide' and show it to your friends. Talk about climate justice in all your networks. Spread messages about your concern on social media. Invite a speaker from the Pacific Calling Partnership to your school, community group or church. Change your own behaviour to cut back on greenhouse gas emissions. Turn off lights, use public transport and walk, eat less meat, responsibly use water, use the sun to dry clothes, recycle, and carefully protect the environment in your home, town and nation. Support legislation to cut back greenhouse gases and develop clean energy. The Pacific Calling Partnership listens to and responds to messages from Pacific Island Nations on climate change. Donate to the Pacific Calling Partnership or other NGOs advocating for climate justice for the Pacific Islands. Go to www.erc.org.au/pcp for on line donations. Donate to Aid and development NGOs conducting education and adaptation programs on Pacific Islands. Write to, visit, or phone your Congress Representative or Senator urging him/her to raise the issue in their party AND call for climate justice for front-line vulnerable states, to support Kyoto2. Suggest they visit Kiribati or Tuvalu and listen to what people there have to say. Write articles and/or letters to newspapers, or on social media supporting the needs of Pacific Island nations. Urge your government to take a lead in mobilising the international community to provide appropriate resources for adaptation for front-line vulnerable states by contributing generously to the Green Climate Fund.